Krishnendu Ray received his Ph.D. in Sociology from SUNY Binghamton in 2001. He holds a master’s degree in Political Science from Delhi University, India. 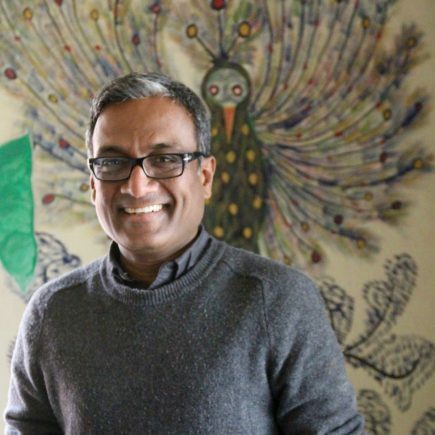 Prior to joining the NYU faculty in 2005, Krishnendu was a faculty member and an Acting Associate Dean for Curriculum Development at The Culinary Institute of America (CIA). A food studies scholar, he is the author of The Migrant’s Table: Meals and Memories in Bengali-American Households (Temple University, 2004). He co-edited (with Tulasi Srinivas) Curried Cultures: Globalization, Food and South Asia (University of California Press, 2012). His most recent monograph is The Ethnic Restaurateur (Bloomsbury 2016). At the IPK he is an organizer of the Food and the City working group.